Say “I do” at one of the most romantic wedding destinations in central Indiana, at the historic Charley Creek Inn. Whether you opt for the historic banquet hall or intimate rooftop Cloud Club, with its beautiful views over the city, you have our promise that your day will be the most special one of your life. 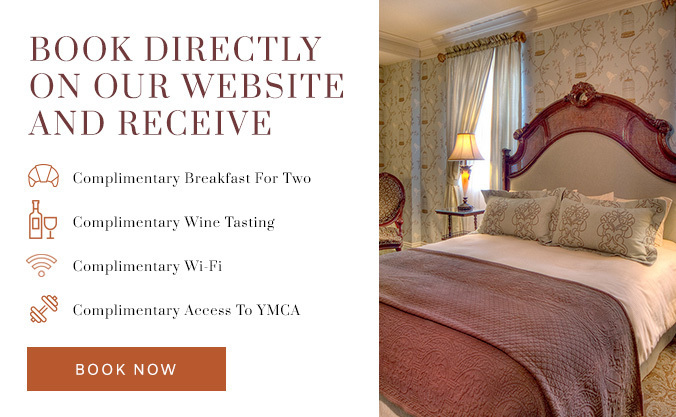 The historic Charley Creek Inn is becoming renowned for its excellent catering services and meticulous orchestration of wedding celebrations, whether grand or intimate. The Catering staff subjects every element of each wedding to rigorous aesthetic standards of presentation, and any special request can be accommodated in unmatched Charley Creek style. Charley Creek Inn's Wedding Package is the most inclusive wedding package in Central Indiana and will exceed all expectations. And think of us for all of your bridal events. We offer wine-and-cheese-tasting for bridal parties. With a bustling downtown, spas known for their pampering, and nearby wineries, we’re an ideal getaway for bachelorette parties. And we provide a perfect base for pre-wedding weekends—bring the girls to shop for a one-of-a-kind wedding dress at unique boutiques; indulge yourselves at a local spa; visit local wineries; and dream of your big day. To start planning your wedding, please download our Wedding information sheet, look over our Banquet Menu, submit your Wedding Inquiry Form or call us at 260-563-0111. 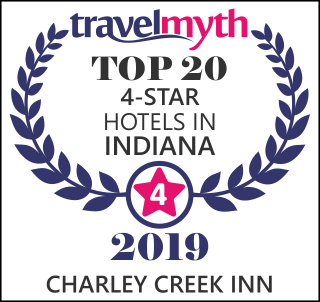 A Wabash landmark for nearly a century, the Charley Creek Inn is an urban oasis of unexpected luxury.